Pack 52 helped place flags at each of the veteran gravesites at WV Grafton National Cemetery. In November, our Pack participated in a Food Drive for the Canyon Food Pantry. Scouts were encouraged to bring in non-perishable food, toiletries, and other supplies needed for the pantry. 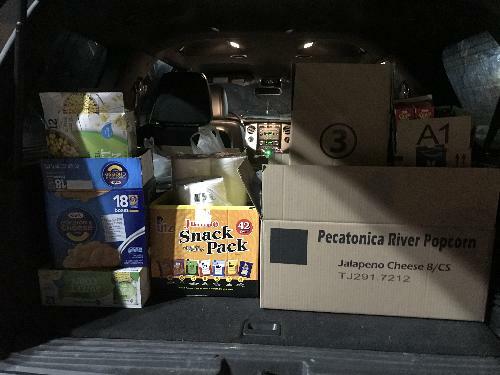 We were able to pack an SUV full of food, toilet paper, and other items. The families really enjoyed the event. We are helping the school cleanup the Kindergarten Playground Area on June 3 from 10am-2pm. This will include weeding, painting doors/shed, cleaning debris out of mat area, and pressure washing walls to remove dirt. The Pack will be providing Pizzas and water. This was rescheduled from May 5 due to weather.